Huawei let the cat out of the bag and finally introduced the P30 Pro. The P-series traditionally focuses on the camera, and Huawei has indeed taken a deep dive into its box of tricks with this one. The Huawei P30 contains a total of five cameras, and as this first camera test shows, they have it all. The points that Huawei particularly emphasizes in the new smartphone camera are the enormous zoom range and the improved performance in poor light. Even in the dark, the Huawei P30 Pro is supposed to deliver good photos. In order to always have the right settings at hand, the Chinese manufacturer has further extended the Master AI, which uses the dual-NPU in the Kirin 980 processor. Finally, this AI helper can also be switched on and off with a single tap, without having to dig through the menu. 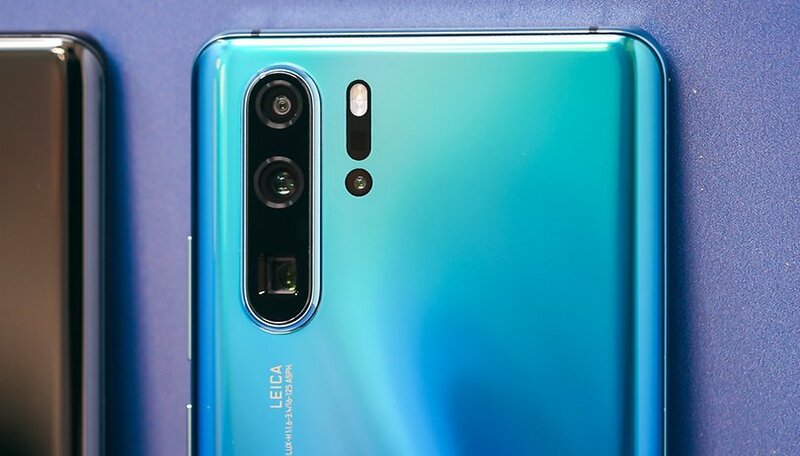 The Huawei P30 Pro has an ultra wide-angle camera on the back, a standard focal length and a horizontally mounted telephoto lens with 5x optical magnification. Thanks to the high resolution 40 MP sensor in the standard camera, Huawei can even make a tenfold hybrid zoom possible, which can actually bring a subject extremely close to you. And the quality and sharpness hardly suffer. This enormous zoom range - even if one disregards the pure digital zoom - makes the camera of the Huawei P30 Pro extremely versatile and ensures that the photographer has a suitable focal length available in almost every situation. In this respect, no other smartphone offers as much as the Huawei P30 Pro (click here for the complete review). Huawei has been especially hard at work on the low-light capabilities of the P30 Pro. The sensors are quite large for a smartphone at 1/2.5 inches, and the Chinese manufacturer has replaced the green parts in the Bayer matrix with yellow. They're supposed to let in 40 percent more light. In fact, the P30 Pro takes excellent pictures in low light, even in situations in which almost all smartphone cameras have long since given up, showing only a black display. You don't really need the night mode at all, the automatic mode is completely sufficient. For comparison, here's the picture the Mate 20 Pro took of the same place with identical settings. The difference is striking. Even if the comparison with other current top smartphones is still pending, The Huawei P30 Pro will be very difficult to beat in low-light shots. For modern smartphones, portraits and photos with a good depth of field are part of the package. Huawei has been a pioneer in this field since the P9, and has added an additional TOF camera (Time of Flight) to the P30 Pro. The creation of a depth map of the entire scenery creates a more natural look than before, which is especially useful for portraits. The portrait mode of the camera app in the Huawei P30 Pro can be safely forgotten, as the aperture mode is preferable - it doesn't have any automatic beauty effects that unnecessarily distort the picture. Since the Mate 20 Pro, Huawei has also offered a Super Macro mode in which you can approach the subject with the camera up to 2.5 centimeters. The wide-angle camera is used for this purpose. With the Master-AI activated, the P30 Pro switches on the Super Macro mode reliably and automatically during the test. With all the zoom and the chic backgrounds, you shouldn't forget the action photos, because the P30 Pro is also quite good at them. Here the telephoto lens is rarely helpful, but the wide-angle lens can provide exciting effects. If there is a lot of movement in a game, it is recommended to use the manual mode of the Huawei P30 Pro camera and keep the shutter speed low, at about 1/1000 second. The disadvantage: in the Pro-mode, the serial image trigger does not work, thus one has to trigger each image individually. This increases the chance of missing the right snapshot. The selfies, which the Huawei P30 Pro delivers in this camera test, have a whopping 32 megapixels. The first step should be to switch off the beauty mode, because even without it, the Huawei P30 Pro displays people naturally and nicely with the front camera. In low light, however, the front camera can't quite keep up with the rear camera. Already, after the first day and the first night with the Huawei P30 Pro it becomes clear: this camera has a lot to offer. It offers enormous creative possibilities and delivers excellent photos in every conceivable situation. The big camera comparison with the other luxury smartphones like the Apple iPhone XS or the Samsung Galaxy S10 should be really exciting! What do you think of the P30 Pro photos? Let us know in the comments below. The P30 Pro is more like a camera, a very compact "camera" with exceptional picture quality. However, it is called "smartphone". Because that's what it is! And let's not forget the price, which is one that can be attractive for a top phone. That's why I can say: Bravo Huawei! Really, it seems cameras on Huawei P30 Pro are both a great toy and a very powerful tool.